Hecker switched his major to accounting after accidentally discovering the social aspects of the field. 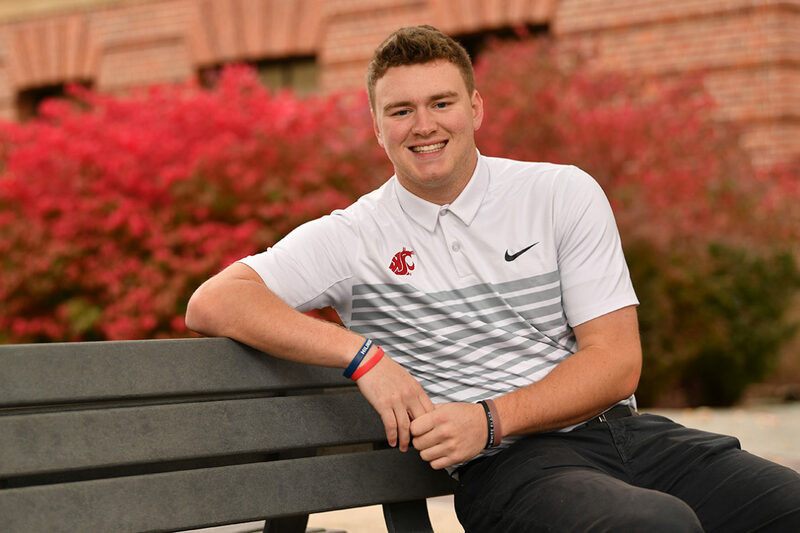 In early August Andrew Hecker, a WSU Carson College of Business accounting student, received a $10,000 merit scholarship that changed his undergraduate experience and his future. Hecker was one of approximately 165 recipients across the nation recognized by the Public Company Accounting Oversight Board for demonstrating accounting and auditing aptitude and high ethical standards. Hecker originally chose WSU to play football and major in mechanical engineering. After playing both Cougar football and baseball for a time, he decided to focus exclusively on academics. He also switched his major to accounting after an accidental discovery of the social aspects of the field. Hecker plans to focus on the auditing realm of accounting and says he is drawn to the process of interpreting information and explaining it to solve clients’ problems. To prepare for his career, he joined Beta Alpha Psi (BAP), a national honorary organization for current and future financial information professionals. He served on the BAP student officer board as a junior, is co-president, and has helped increase attendance and student interest in the club. He also engaged in many networking and recruiting opportunities with accounting firms. “Learning from industry and connecting with faculty improved my overall experience as an accounting major and is a big portion of why I received this scholarship,” he says. In addition to accounting, Hecker is passionate about helping others. Since high school, he has spent breaks helping student athletes in his community with everything from sports and academics to other instances in which he can serve as a mentor.